Popo Fan is a Chinese independent filmmaker, writer and activist. After graduating from the Beijing Film Academy, he wrote the book “Happy Together: Complete Record of a Hundred Queer Films”(Beifang Wenyi Press, 2007). 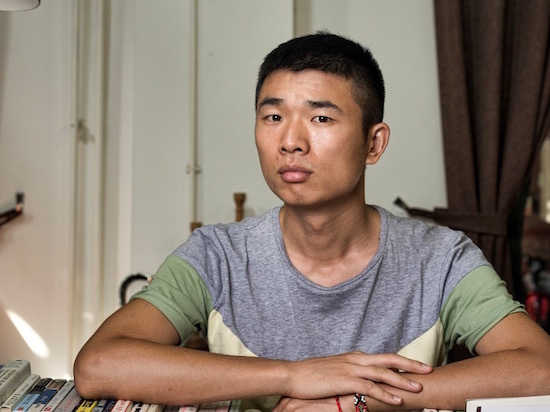 He has directed several globally acclaimed queer-themed documentaries and has been a major force in showing queer films to audiences across China. In 2011, he was awarded the Prism Award of the Hong Kong Lesbian and Gay Film Festival for his work. In 2015 he had sued the Chinese authority for banning his film Mama Rainbow online. This was the first case like this ever been accepted, and he had got a victory of the case. 2009 | New Beijing, New Marriage | 18 min. 2009 | Paper House | 18 min. 2010 | Chinese Closet | 88 min. 2011 | Be a Woman | 84 min. 2012 | Mama Rainbow | 80 min. 2013 | The VaChina Monologues | 28 min.